A friend of mine*, Shaun Groves, released an album yesterday. 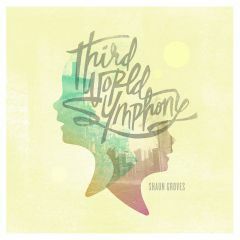 It’s called Third World Symphony and it’s pretty good. I scored an early digital copy on Kickstarter and got my CD in the mail yesterday. I am 1 of 462 unique fans. Gosh I love the new music industry. The rest of the album isn’t quite like that (the ruckus part), but it’s still good (lots of mandolin pickin’). So check it out. *While Shaun Groves is a (soft) rock star, I’ve also had dinner** with him and talked to him on the phone, so I think that qualifies as a friend. **If “dinner” qualifies as a cherry Coke and some chips and queso at Chili’s. He offered to buy me dinner***, but I wasn’t that hungry. ***OK, now I’m just bragging. Sorry.